The silver looks great, better than white would have! 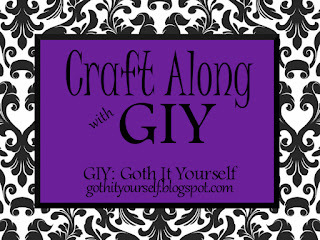 Don't forget to post on GIY's page and thanks for reminding me about my project. Nice! I like the silver. It's great when your first go at a new craft/technique is a success. Mine rarely are. 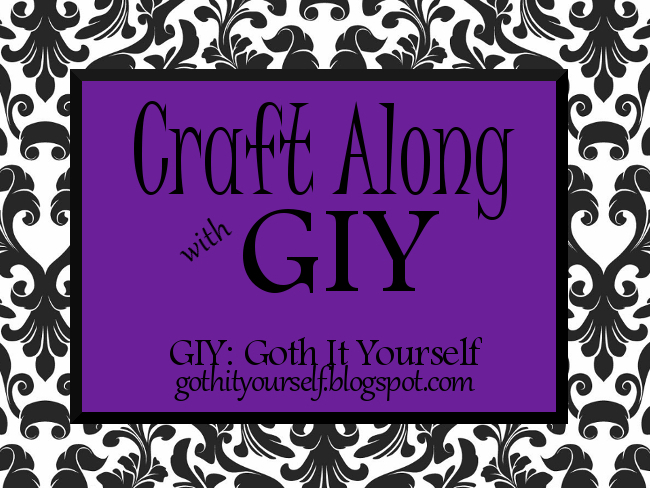 ;) Thanks for participating in the craft-along! Great idea. I remember when anhks t-shirts were avaiable everywhere.Thats great idea with fabric paints feeling very inspired. I love the ankh and it’s meaning! Great work! Hi again! I got the Liebster award and now I'm passing it to you! It's a Q/A type of thing where we learn more about each other. If you'd like to participate, follow my link to see the rules and questions I have prepared for you. Hope you enjoy it! Happy Holidays! Cool. I'll give it a shot.